MSC Cruises has announced that MSC Lirica will home-port at Shanghai, China, in May 2016 following a 60-day round-the-world Grand Voyage. The 65,000 gross ton ship will make the company’s maiden call at China’s largest city near the end of its Grand Voyage which will depart on 3 March 2016 from Rio de Janeiro, Brazil. Guests will be able to board the Grand Voyage at Rio de Janeiro, Brazil; Genoa, Italy; or Dubai, United Arab Emirates. Prices for the full 60-day voyage start from £2,799 per person on the Bella experience on a cruise-only basis, based on two people sharing an inside cabin. CAISSA Touristic Group, China’s leading outbound tourism service provider, and MSC Cruises have entered into a strategic partnership to enable MSC Lirica to home-port in Shanghai as of May 2016 to serve the Chinese home market. 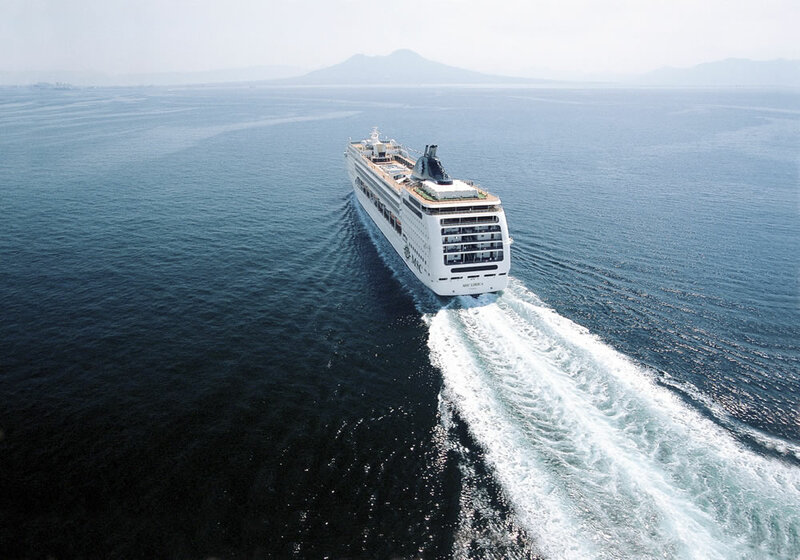 The cruise line plans to tailor MSC Lirica’s products and services to serve the needs of Chinese consumers and will announce several industry firsts at a press conference in Beijing in the coming weeks. The voyage will start in Brazil and visits Spain, France, Italy, Greece, Egypt, Jordan, Oman, United Arab Emirates, India, Sri Lanka, Thailand, Malaysia, Singapore, Vietnam, Hong Kong, China, and Japan. 4 Sat 5 Mar At Sea …. …. 7 Tue 8 Mar At Sea …. …. 9 Thu 10 Mar At Sea …. …. 10 Fri 11 Mar At Sea …. …. 11 Sat 12 Mar At Sea …. …. 12 Sun 13 Mar At Sea …. …. 13 Mon 14 Mar At Sea …. …. 15 Wed 16 Mar At Sea …. …. 17 Fri 18 Mar At Sea …. …. 22 Wed 23 Mar At Sea …. …. 27 Mon 28 Mar At Sea …. …. 28 Tue 29 Mar At Sea …. …. 29 Wed 30 Mar At Sea …. …. 30 Thu 31 Mar At Sea …. …. 31 Fri 1 Apr At Sea …. …. 34 Mon 4 Apr Dubai 08:00 …. 36 Wed 6 Apr At Sea …. …. 37 Thu 7 Apr At Sea …. …. 38 Fri 8 Apr At Sea …. …. 41 Mon 11 Apr At Sea …. …. 43 Wed 13 Apr At Sea …. …. 44 Thu 14 Apr At Sea …. …. 48 Mon 18 Apr Singapore 08:00 …. 50 Wed 20 Apr At Sea …. …. 52 Fri 22 Apr At Sea …. …. 53 Sat 23 Apr At Sea …. …. 55 Mon 25 Apr At Sea …. …. 56 Tue 26 Apr Shanghai 19:00 …. 58 Thu 28 Apr At Sea …. …. 60 Sat 30 Apr At Sea …. …. 61 Sun 1 May Shanghai 05:00 ….